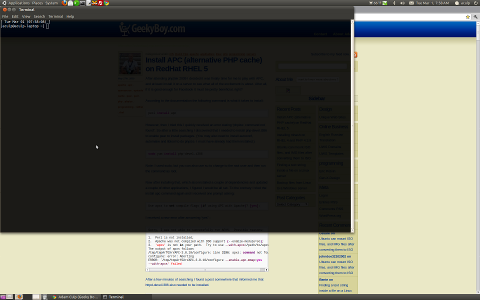 Have you ever noticed that when opening a terminal screen in Linux it is very small? Who can work like that? AND in order to do anything I need to drag the corner of the window to make it larger, which is time consuming and drives me crazy because I am opening and closing my terminal screens many times each day. The fix is very simple. Right click on the launcher for terminal and select “Properties”. When that dialog opens you are going to edit the Command to set the geometry of the window to be BIGGER. I personally like my terminal to be 175×50, you can vary the size as you wish.